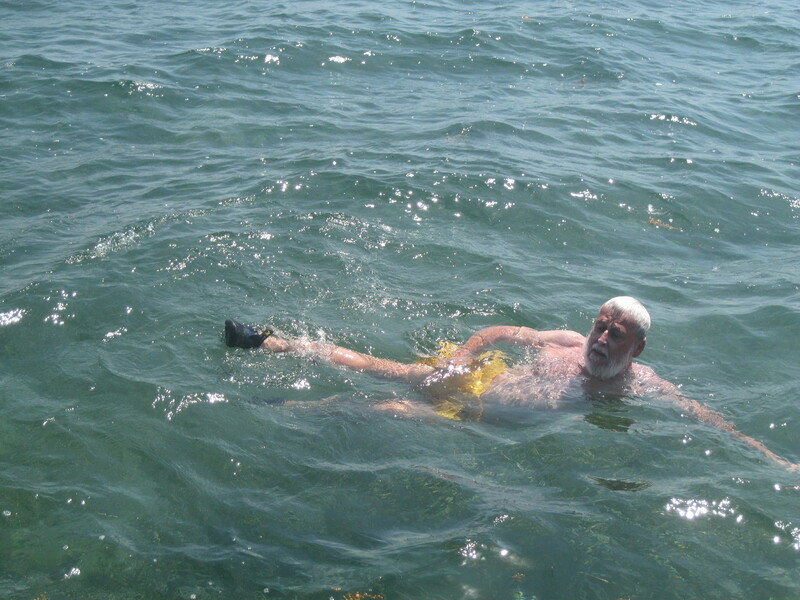 Why would I never retire in Belize? Because there is no other place anywhere in this wide world that I would rather be than right where I am now in south-central Ontario from Spring through Autumn. For me, it’s time to open our hobby barn and get it ready for an influx of laying hens, day-old chicks, ducks, turkeys and rabbits which will be assiduously cared for until it is time to say goodbye. It’s time to get the vegetable garden ready for planting; then there is the planting, the weeding and the watering; and then as the months slip quickly by there is the harvesting, the time to enjoy the fruits and vegetables of our labour. There are flower gardens to revive, patio tables and chairs to stain, the barbecue to clean and polish. And then there are the visits from family and friends, the occasional party, the many bonfires in the backyard fireplace. It’s a warm and wistful time, a time to remember and cherish. 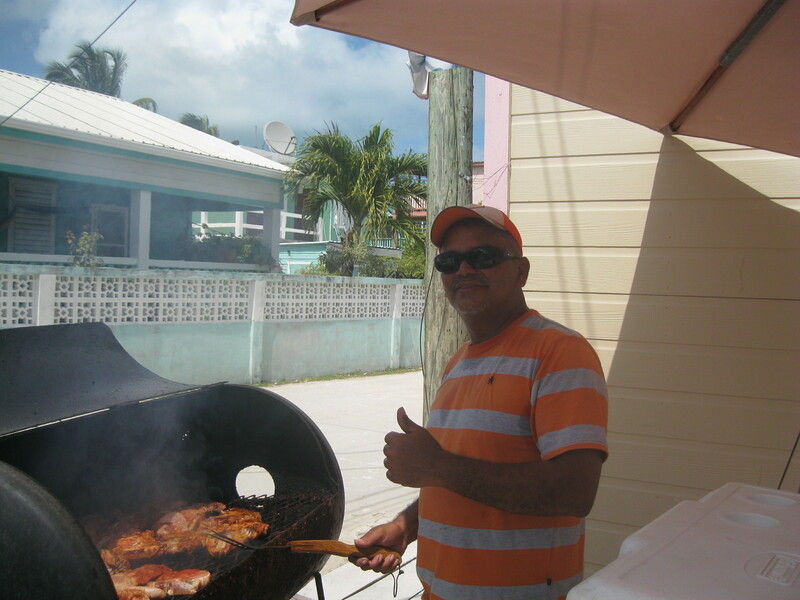 And that is why I see Belize as a wonderful place to vacation for two months every year. But not a place to retire. In this blog, I intend to address these questions. 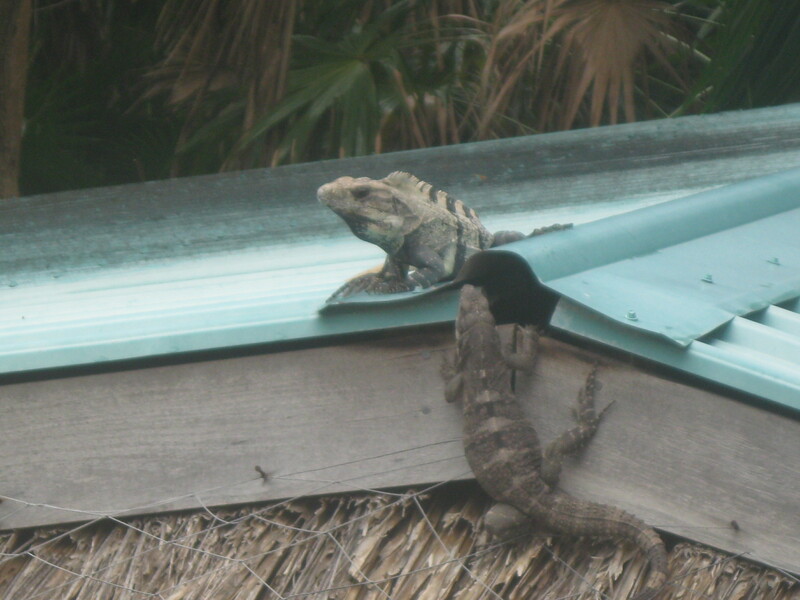 But first, an anecdote that influenced my decision not to retire in Belize. 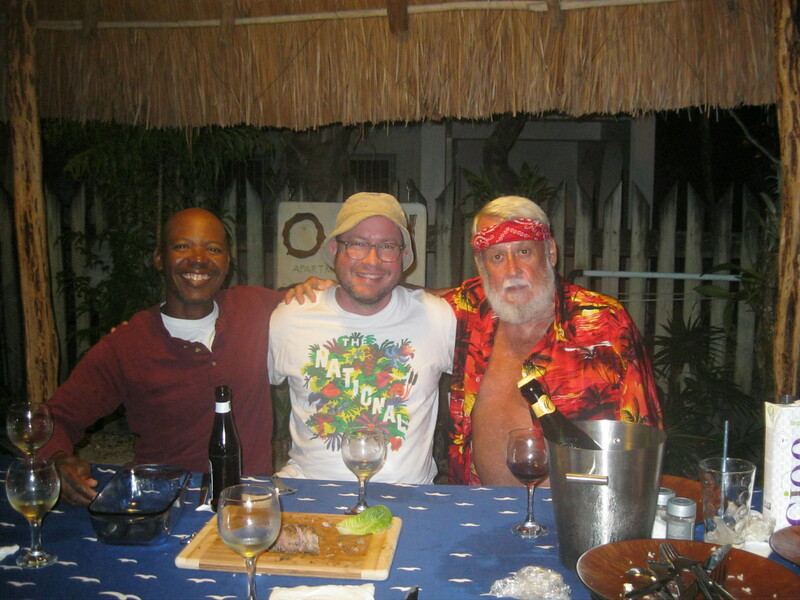 Years ago, we met an American couple from Alaska who had been vacationing on the Caribbean coast of Belize for 12 or so years. 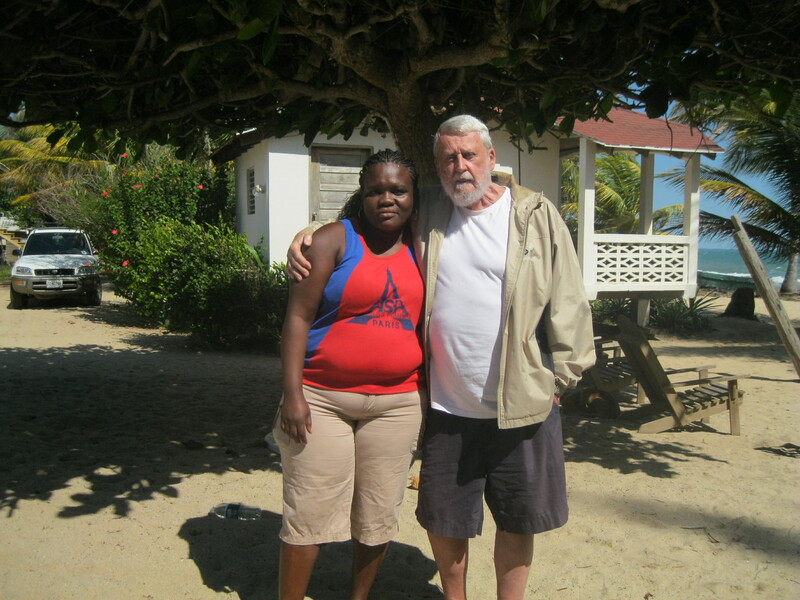 After their first few visits, they purchased a tract of land on a river that emptied into the Caribbean. Then, year after year for a month or six weeks, they built their dream bungalow with the help of local labour when required and local tradesmen. When the work was completed, they returned to Alaska, gave their employers notice, said goodbye to family and friends and returned to Belize and their retirement home. 4 years later they were back in Alaska. First and foremost, I would say, they didn’t do their homework. They didn’t realize that there are seasons in Belize. (We have found that the weather that suits us best runs from Feb. to April. Not surprisingly that’s also prime tourist time. Nov. and Dec. can be hot. January can be cool. May to November, hot and humid with heavy rainfalls. The hurricane season is between August and October). Consequently, they were not psychologically prepared for weather that at times even Belizeans cannot endure. Also, he was an avid fisherman, she not so much. In the good weather, he’d fish from dusk to dawn with a fishing buddy. She’d stay at home. She liked to read but began longing for company. When we popped in to say hello she was super-excited though we were by no means good friends. She said she missed her family and friends back home and kept in touch with them through social media but it wasn’t the same. During the very hot, wet days, her husband had to stay at home and groused about till he could go out fishing again. She said she felt secluded because they had settled outside the nearest village but truth to tell the villagers were not of much interest to her. 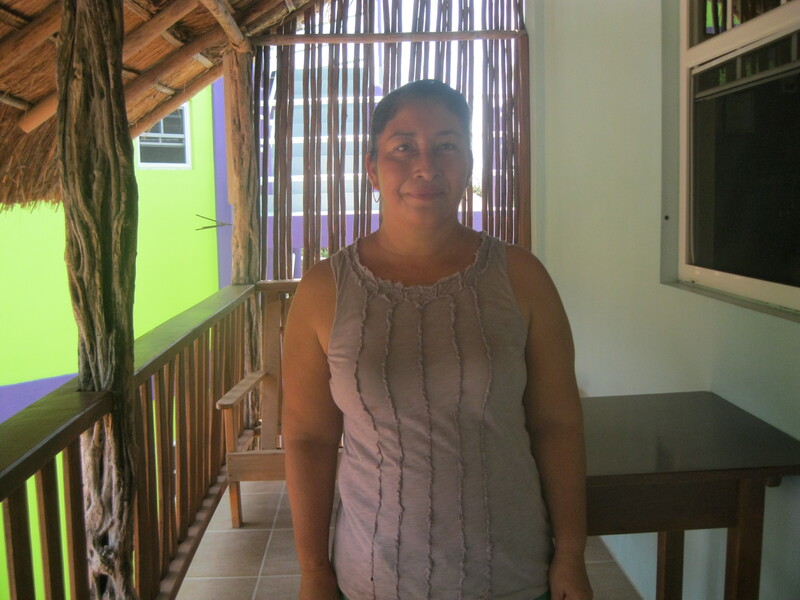 She complained of the long nights (Belize is roughly 12 hrs. day, 12 hours night all year around. T.V. reception was problematic . They played cards and sometime drank a cocktail or two more than they should have and so on and so forth. So, it didn’t work out and they went back home. And that one word, ‘home’, is at the heart of why I would never contemplate retiring anywhere other than where I worked all my life. I’ll write about that in my next blog in November. click on the link above to take you there ….. enjoy!!! Further to my last blog I have more info on West Jet’s direct flight from TO to BZE. First off, West Jet only offers the direct flight during the high season from Oct.29 to April 19. That’s okay. Most North Americans don’t vacation in the Caribbean in the spring and summer and Europeans and vacationers in other parts of the world may consider flying to Toronto as an option to flying to a city in the U.S. enroute to Belize City. West Jet is offering three travel packages for your consideration: Econo, Flex and Plus. You can check West Jet on-line but obviously Econo is going to be bare-bones and the least expensive, Flex 1st bag free and medium priced and Plus offering more comfort and convenience and most expensive. When I booked (the day after I heard about all this) one-way ticket prices were 280, 410 and 480 CAD. At 480 for the Plus package I’d be paying about the same, or less, what I’ve paid for the last few years, plus the benefit of a direct flight and much better departure and arrival times. West Jet flies out of Toronto twice a week on Wednesday and Saturday. Departure time is 9:15 a.m. arriving at the Philip Goldson International Airport just outside Belize City at noon. Less than 5 hours. A one pit-stop flight. That’s so much better than the 6:30 a.m. departure out of Pearson Int’l with arrival in Belize between 2 and 4 p.m. The difference is so huge because when you arrive in whatever city (Newark, Houston, Miami, Georgia etc) in the States you have to wait 2 or more hours before you depart for Belize. See what I mean? Moreover, if your flight is running late, you run the risk of getting stuck in Belize City overnight which, if you hadn’t planned it, could be tricky. 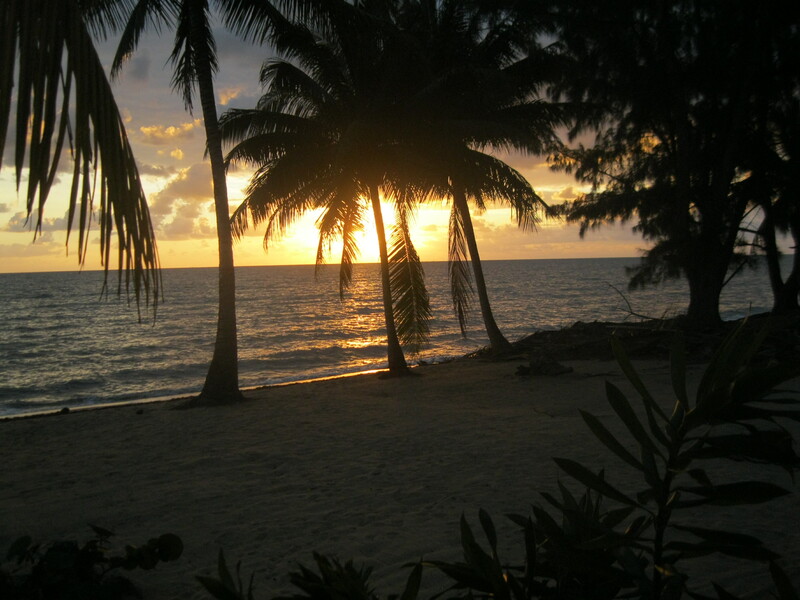 Remember, Belize is a Tropical country where the sun rises around 6 and sets around 6. 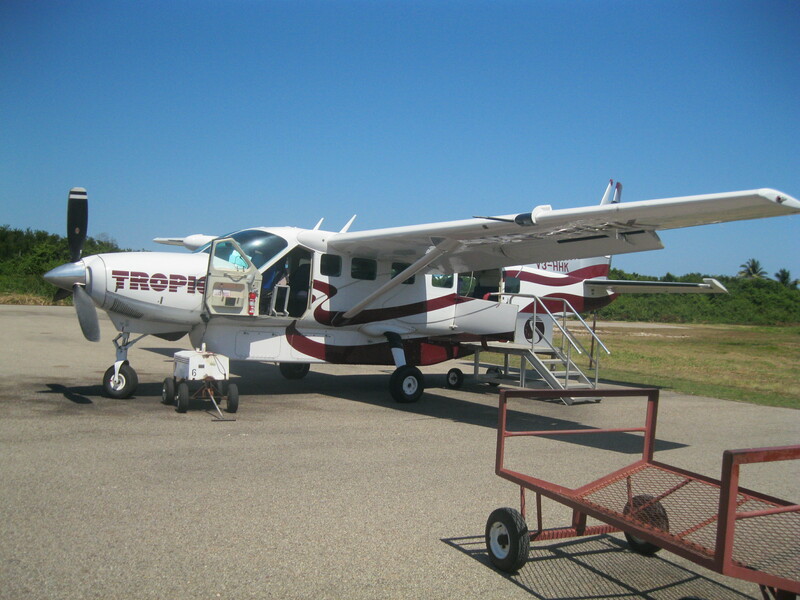 The local planes don’t fly much after 5, nor do the water-taxies that ply between Belize City and Caye Caulker and San Pedro or the boats in Dangriga that would ferry you to many island destinations off the coast of the Caribbean. By flying with West Jet, all the above concerns disappear. Arriving at noon and allowing for an hour to clear customs, there isn’t a vacation destination I can think of that you couldn’t reach before sunset. Check out my blog #5 Belize by Plane (wp.me/p2orau-Z0 and #15 Transition Destination: Belize (briansbelize.com/2013/05/15) and #17 Transition Destination: Dangriga, keeping in mind that direct flights are now available from Toronto to Belize. 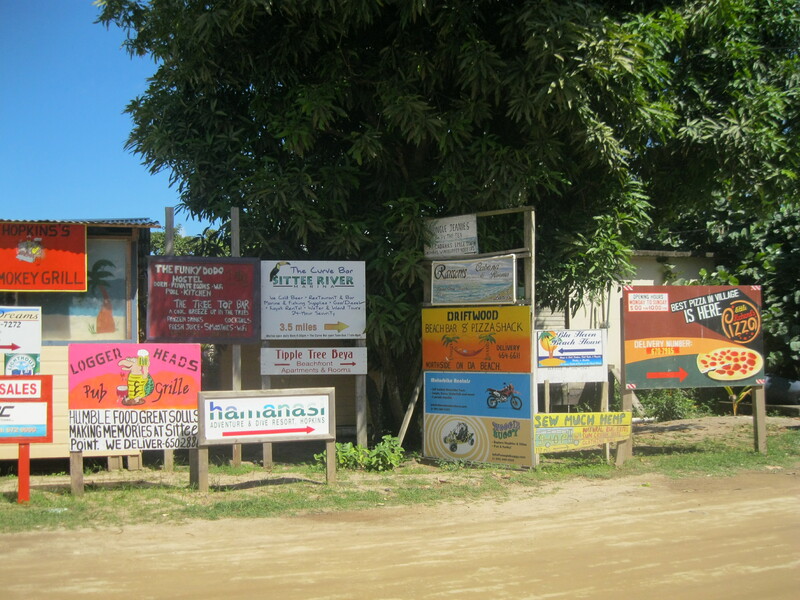 But before you do, enjoy a random sample of pics that showcase Belize and its places and people. WOW! At long last CANADIAN AIRLINE WEST JET IS OFFERING DIRECT FLIGHTS FROM TORONTO to BELIZE CITY. Before this, travellers across Canada had to fly to the U.S to get a connecting flight to Belize. This meant going through American customs twice: first before boarding for the flight inside the U.S and the second before the flight out of the U.S. enroute to Belize. It was bad enough having to go through U.S customs while still in Canada. It was triple-ly worse repeating the experience again, somewhat analogous to beef cattle being herded to the slaughter house. Not only that. Because of the unavoidable lay-over in the U,S., we had to fly out of Toronto around 6:30 a.m., sometime arriving at Pearson International before Customs was even open and the airline staff hadn’t yet arrived for the morning shift. Returning was just as bad. We’d fly out of Belize at a civilized 2 p.m. but wouldn’t land back in Toronto till around mid-night. NOW IT IS ALL CHANGED, CHANGED UTTERLY, A WONDERFUL AIRLINE’S BEEN BORN. BRAVO WEST JET. BRAVO! 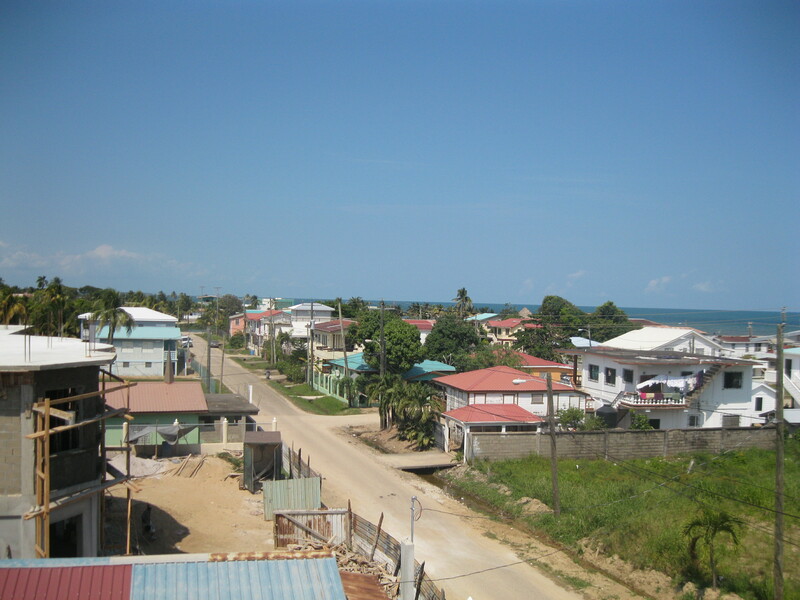 Belize is a small country, the smallest in Central America. It has a population of 400,000+ and you could drive south from Mexico to Guatamala in less than 9 hours. It is bounded on the east by Mexico, on the north and the west by Guatamala and on the south coast by the Caribbean Sea. What do you get in such a small package? You get a people with a diverse mix of ancestries and skin-colours ranging from black to shades of brown to yellow to white. English is the official language and the language of instruction in the schools, but Spanish is almost universal followed by Kriole, Mayan, Garifuna , Mestizo, Chinese and Old German. But not to worry, English will get you anywhere or anything. You get flat lands, rain forests, mountains, waterfalls and seashores. 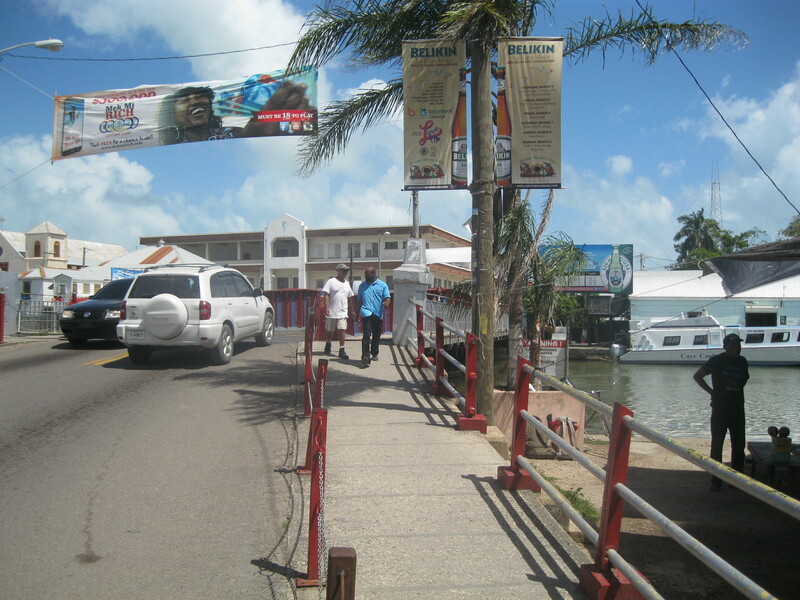 You get two cities: Belize City, pop. 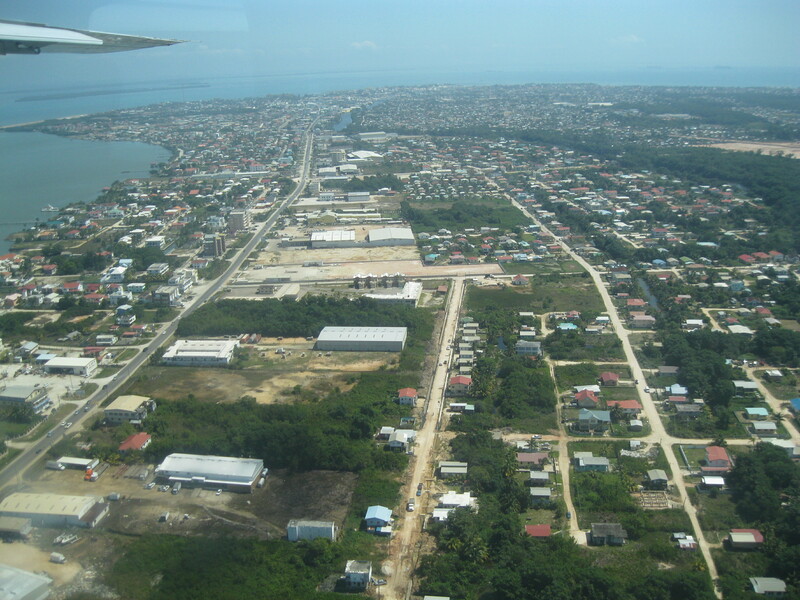 80,000, and Belmopan, the new capital of Belize where the Parliament was moved inland years ago away from the threat of another hurricane that would again blow down and wash away much of Belize City, the original capital. You get about 9 towns spread across 5 Districts (the same as a Province or a State) and hundreds of villages, most everyone dominated by one or more Christian church of one or more denominations. And you get the Caribbean Sea lapping the southern coast of Belize, home to hundreds of cayes (small islands) prime amongst them Caye Caulker and the much larger Ambergris Caye that boasts the town of San Pedro. 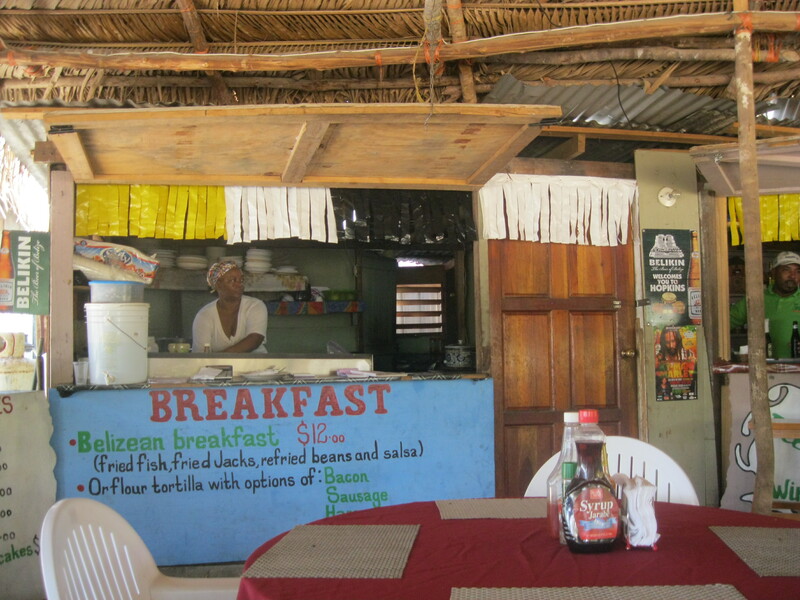 Belize is diverse, yet magically manageable. Check out the Menu at the Café Belize, the virtual café and restaurant created by briansbelize.com. In the menu you will find every post presented as a food dish, some appetizers, some mains, and some desserts. Whet your travel appetite and come back often for more. Bon Appetite! Brian and Shirley. 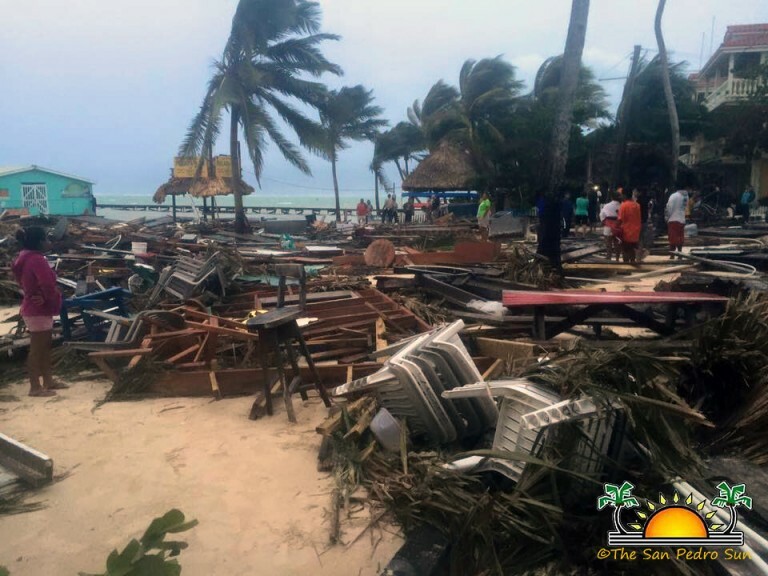 Hurricane Earl rushed across Belize the other day, leaving behind a swath of destruction, but for all its fury it paled by comparison with many of its more powerful predecessors. In the 60s, Hurricane Hattie devastated parts of Belize City. It wasn’t the first hurricane to assault the then capital of Belize but it was enough to make it clear that the capital had to be moved inland to Belmopan where it now rests. 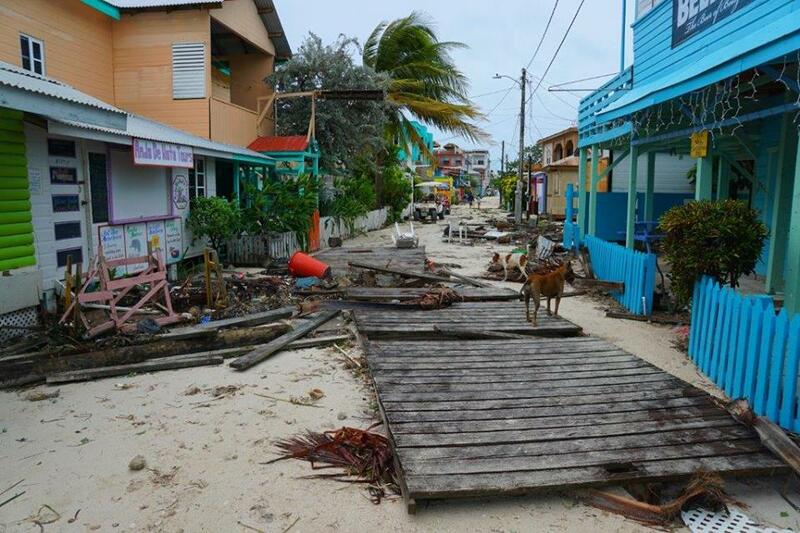 Hurricane Hattie also separated the island of Caye Caulker into two parts, the village of Caye Caulker and the land to the north. 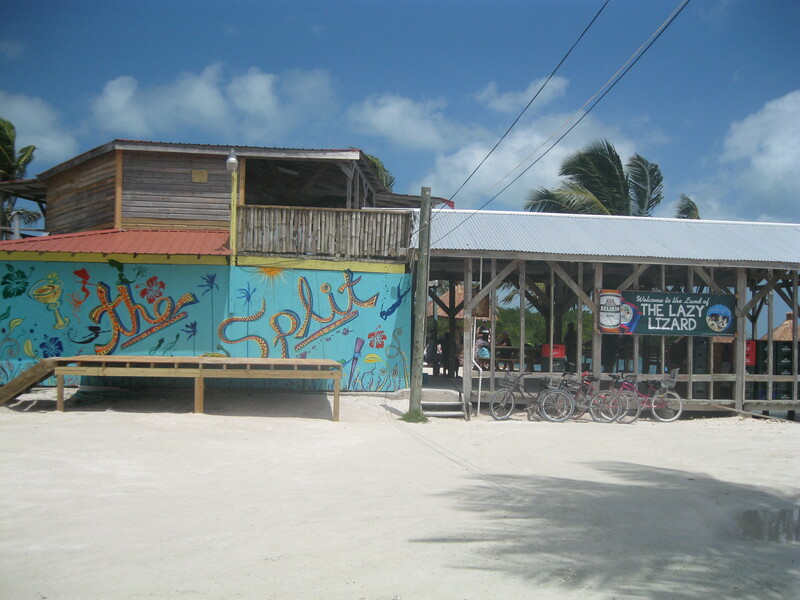 That separation became known as “the split” and it is often referenced when talking about Caye Caulker. 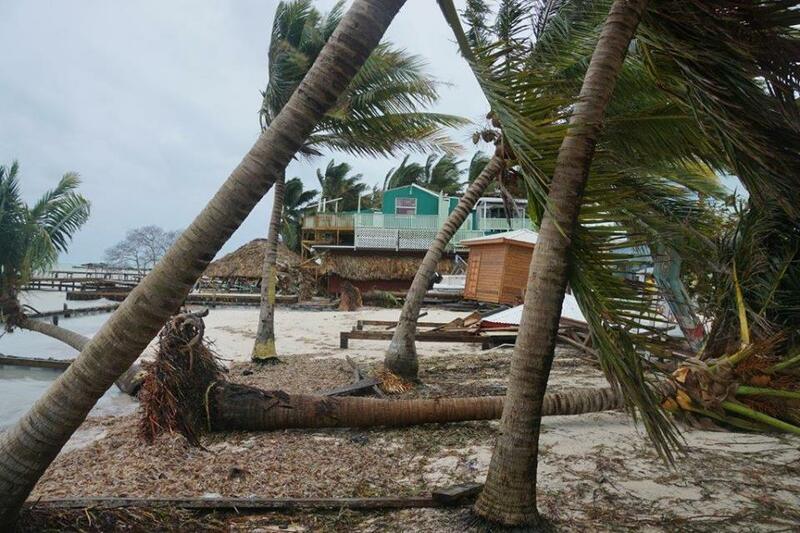 In the early 2000s, Hurricane Iris flattened the village of Placencia in the south of Belize, leaving behind such devastation that the entire town had to be rebuilt. 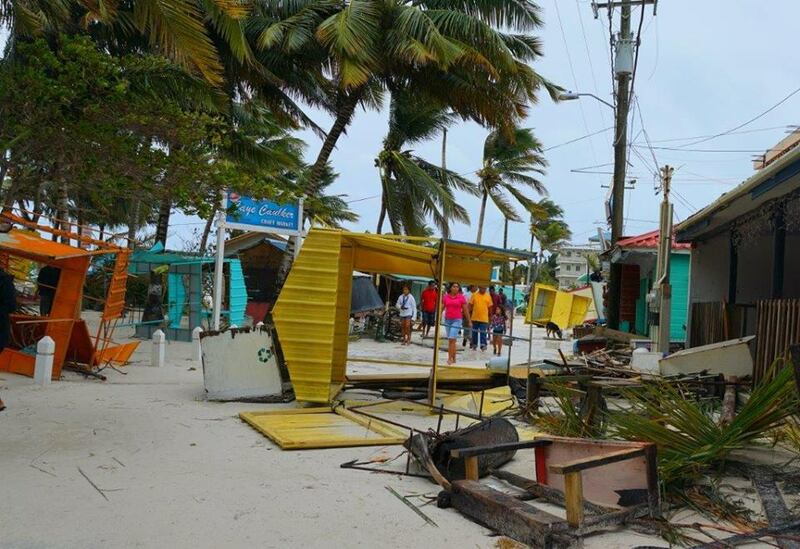 From what I have read and heard from friends in Belize, Hurricane Earl was strong but not deadly. 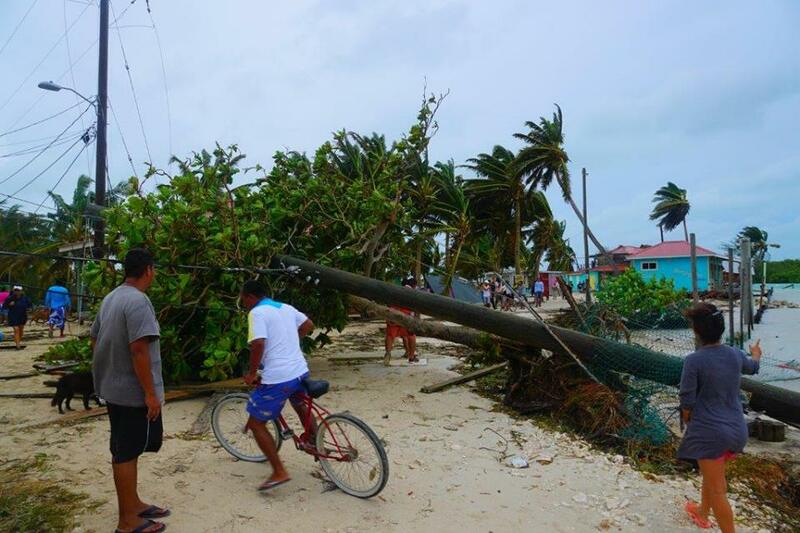 Hurricane-savvy Belizeans are already picking up the pieces and cleaning up the mess that Earl left behind. 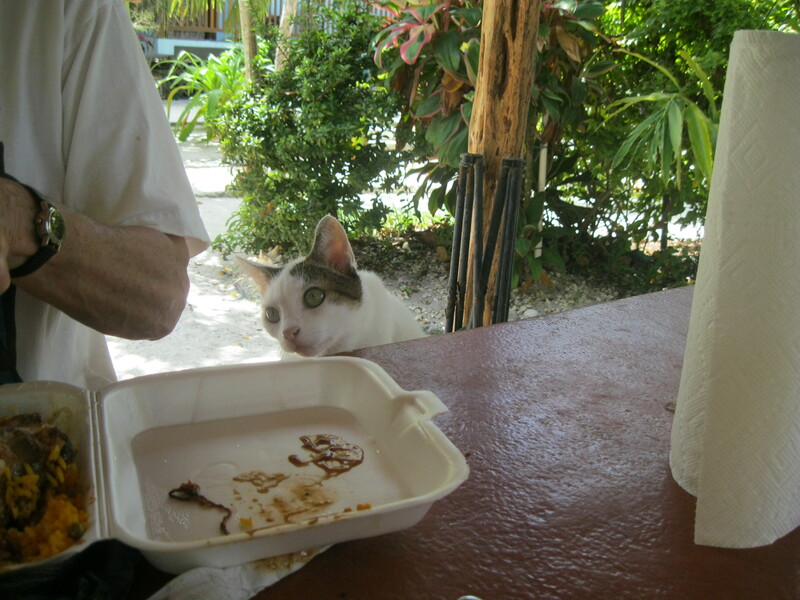 Following is a photo montage with pictures from San Ignacio, Hopkins Village, Caye Caulker and San Pedro on Ambergris Caye. 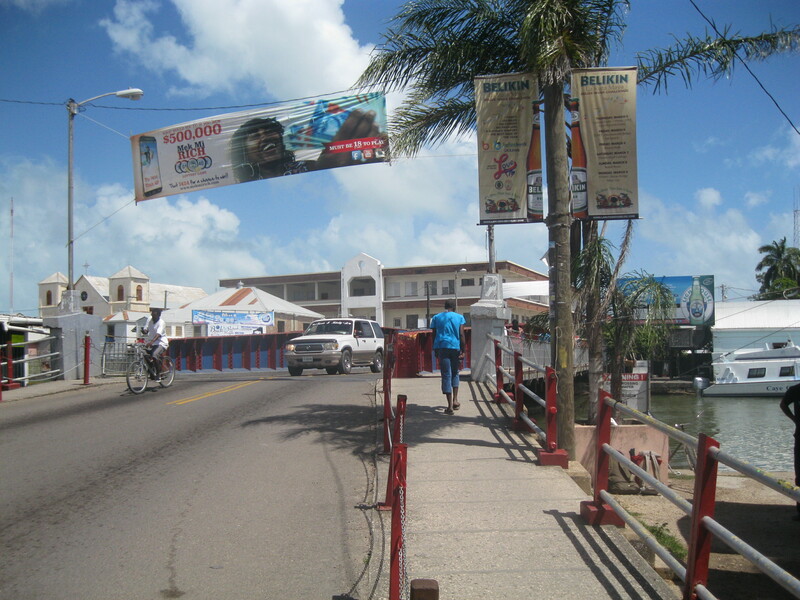 Belize City has a well-deserved bad reputation for gang-related violence but in the 16 years we have been visiting Belize there have been significant signs of improvement. Belize City with a population of 70 to 80 thousand is the only real city in Belize with a population of 3 to 4 hundred thousand. 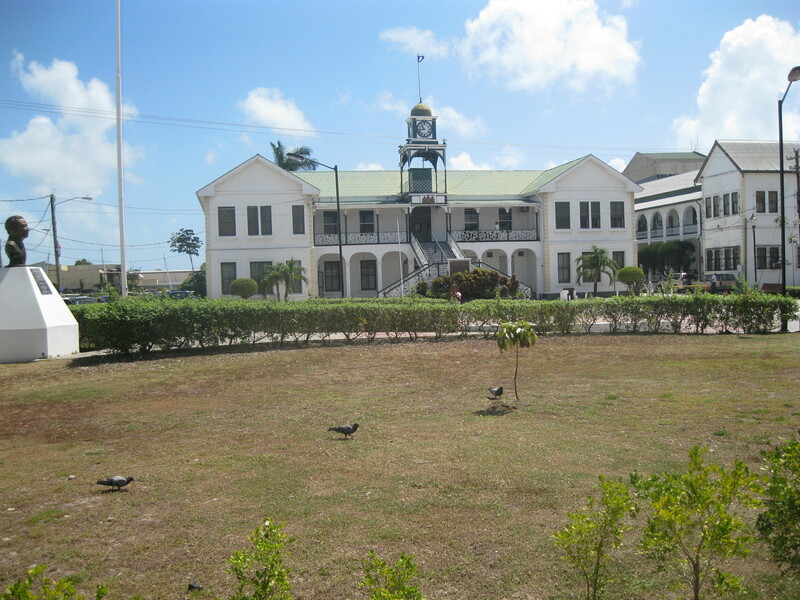 But it has been and will always be the centre of the country if not the official Capital of Belize. 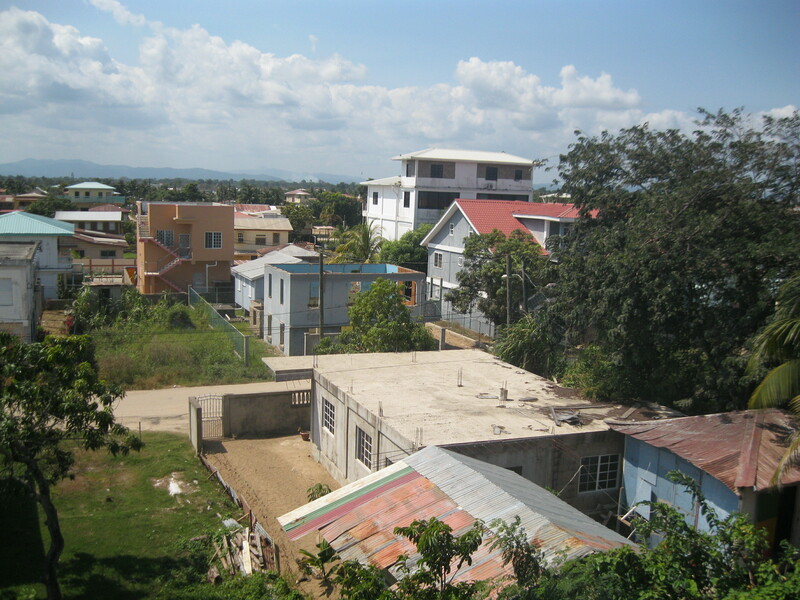 After several near catastrophic hurricanes nearly razed Belize City, the government of the day moved the capital to Belmopan about 30 miles inland. Belize is a 3rd world country which, by definition, means that it is struggling economically to fit itself into the 21st century. Typically, around the world, under these circumstances, the unemployed and impoverished tend to gravitate to the ‘big’ city, hoping to find work and a better life. What they more often find is more unemployment and deeper impoverishment. This forces many to take desperate measures and if needs be do anything to survive, including ‘ganging up’ and engaging in an assortment of criminal activities, often competing with one another violently. The Government and the Police, like the Governments and Police in Toronto, seem to be coming around to the understanding that the cause of much criminal activity is deep-rooted social anxiety and can only by cured, finally, by creating an environment that meets the social needs of the down-trodden as well as the more privileged. Also, in the past 10 years, the governments in Belize have invested a lot of money in improving the infrastructure of the City of Belize. The Canal that runs across the south of the city has been dramatically cleaned up and some neighbourhoods dating back to Colonial days have been restored to present-day standards. The bus terminal has been improved as well. 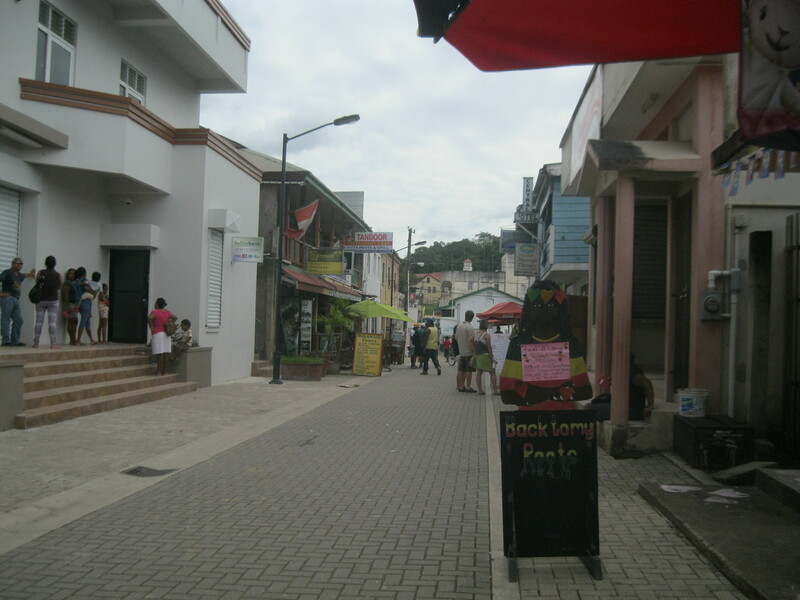 On the coast, a large Tourist Village has been built on the ruins of the past, inviting tourists from cruise ships easy access to Belize as a whole, and improving the lot of travellers who use Belize City as a nexus destination, that is, a place to pass through on the way to somewhere else. Two large water-taxi terminals are available to take tourists and travellers alike to the two largest islands, Caye Caulker and Ambergris Caye and the town of San Pedro. 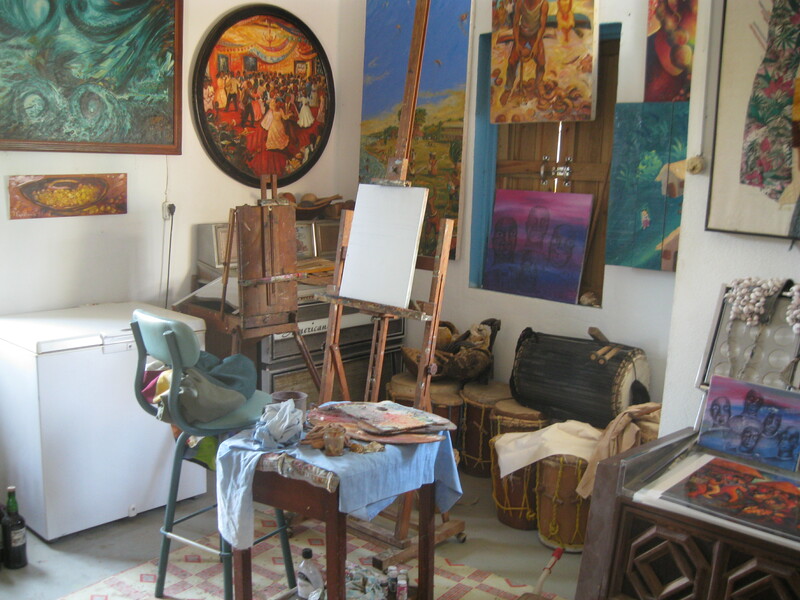 Belize City itself has a bustling, busy, sometime raucous and a little bit raunchy down-town, and definitely worthy of a look-see. 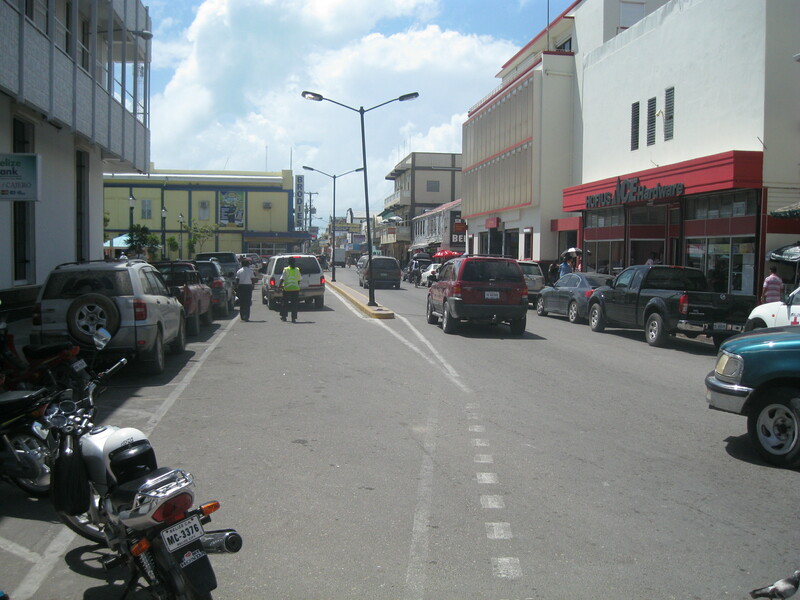 Check out Regent and Albert Street and the side streets that cross them for shops and restaurants. At night, ask at your hotel where best to go for supper. Or stay put and order delivery. There are hot spots to visit, up-scale restaurants and night clubs but I’m not familiar with them. 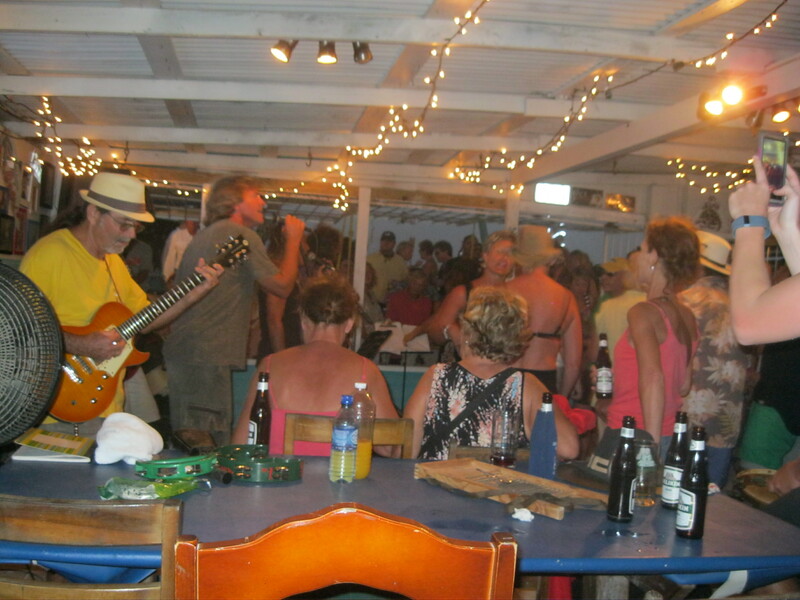 All I know for sure is that Belize City, except for the clubs, is like the rest of the country: if it is past 10 p.m. , it’s bed-time. 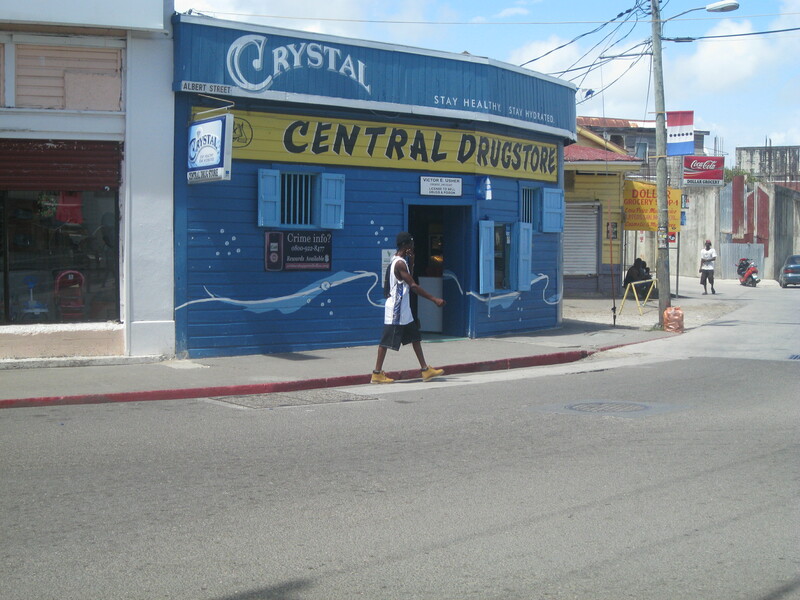 Check out my blogs on Nexus Destinations, Belize City pt 1 and 2 for more in-depth information. And Happy Travels to all my fellow travellers. Belize is a small country, the smallest in Central America. It has a population of 400,000+ and you could drive across it from Mexico to Guatamala in 9 hours. It is bounded on the east by Mexico, on the north and the west by Guatamala and on the south coast by the Caribbean Sea. You get a people with a diverse mix of ancestries and skin-colours ranging from black to shades of brown to yellow to white. English is the official language and the language of instruction in the schools, but Spanish is almost universal followed by Kriole, Mayan, Garifuna , Mestizo, Chinese and Old German. But not to worry. English will get you anywhere or anything. You get about 9 towns spread across 5 Districts (the same as a Province or a State) and hundreds of villages, most everyone dominated by one or more Christian churches of one or more denominations. 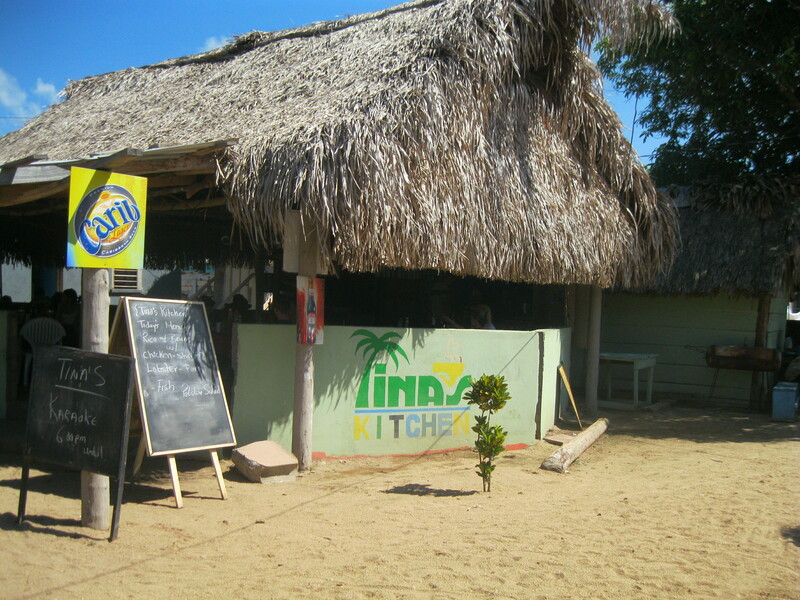 Check out the Menu at the Chez Belize, the virtual café and restaurant created by briansbelize.com. 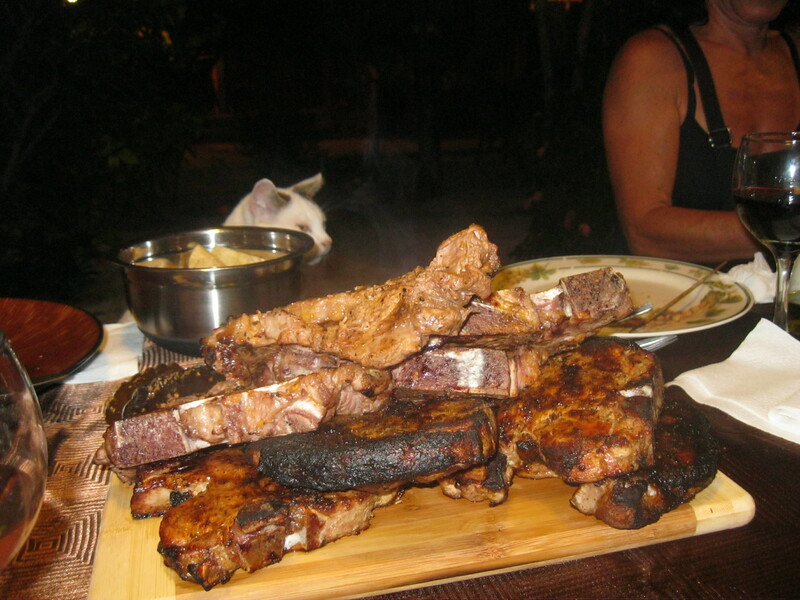 In the menu you will find every post presented as a food dish, some appetizers, some mains, and some desserts.